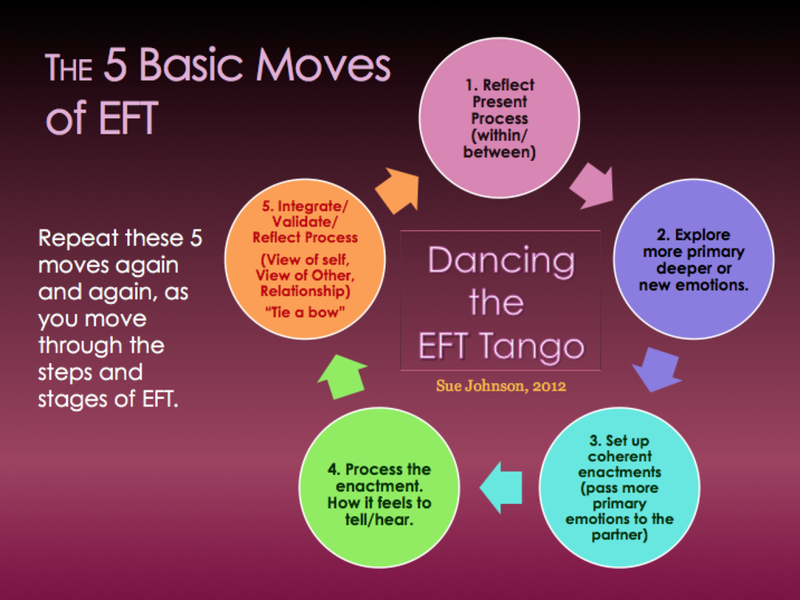 EFT was created by Dr. Sue Johnson and Dr. Les Greenberg to address the disconnection that couples experience as a result of getting "stuck" in negative interactional patterns. These patterns interrupt the positive bond between the couple, and often lead to distrust, resentment, disappointment, hurt, and a lack of safety (emotional, and sometimes physical). Have you noticed that no matter what you say your partner becomes angry, defensive, or shuts down? Have you noticed this in yourself? Did you used to feel connected, but don't know where you stand anymore? Have you or your partner had an emotional or physical affair and are unsure what went wrong, and how to move forward? EFT addresses these painful experiences, and works to recreate safety, connection, and care in your relationship.